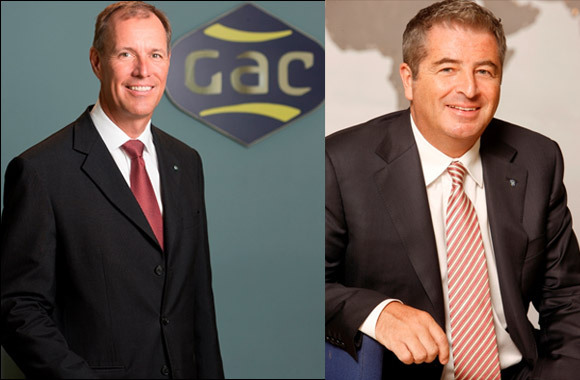 Dubai, 5 May 2015 – Global shipping, logistics and marine services company, GAC, is further strengthening its strategic focus on the worldwide energy sector with the appointment of William Hill as its Executive Group Vice President – Oil & Gas. Hill joined the GAC Group in 1984 and held marketing and business development roles in Kuwait and Dubai before serving as Regional Manager for Asia Pacific from 1995 to 2001. Before his appointment as Executive Group Vice President – Commercial in 2009, he was Group Vice President for Logistics Services. His former duties as Group Vice President – Commercial are being taken over by Christer Sjödoff, previously Group Vice President – Solutions. Sjödoff’s appointment brings his accountability for Group IT and the eco-friendly underwater hull cleaning system HullWiper under Commercial. Sjödoff has more than 25 years of experience in shipping, logistics and marine and has been with the GAC Group since 1993. After holding management and operations posts in the Middle East and Asia, he served as Regional Director for Asia Pacific and the Indian Subcontinent for five years from 2002. In 2007, he was appointed Group Vice President – Solutions, to develop strategic partnerships to meet the needs of the international maritime community. Both appointments are effective from 1 May 2015.